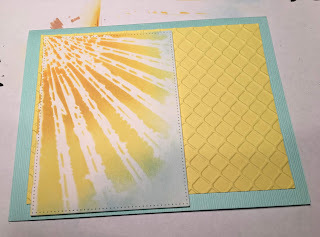 It is Pam creating with you on the blog today! Just a quick reminder that our new Spring Release dies are on sale today for 25% off! Don't miss out on this fantastic savings! 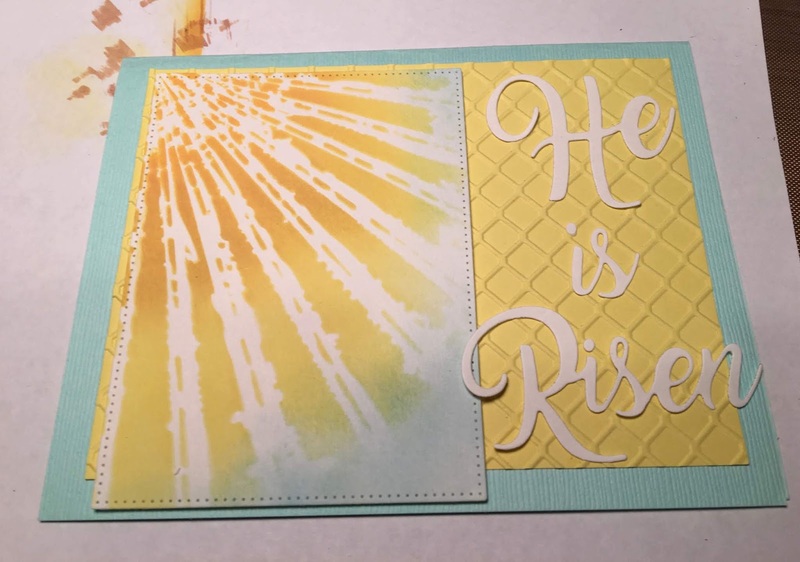 I have started making my Easter cards. 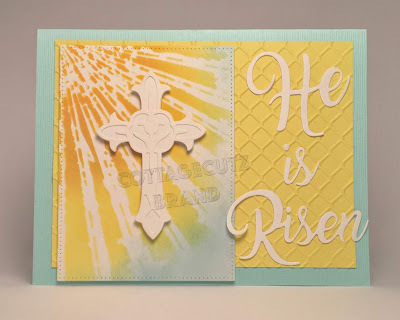 And today I am using one of the new release dies that is absolutely gorgeous and the true meaning of Easter. Thanks so much for stopping by! 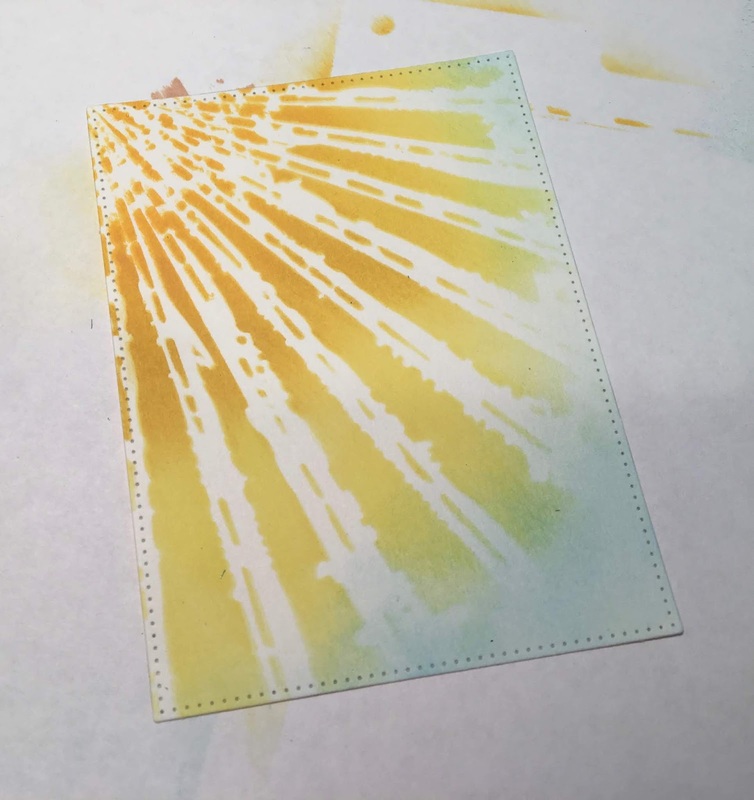 I hope you take some time to be creative! Hello! 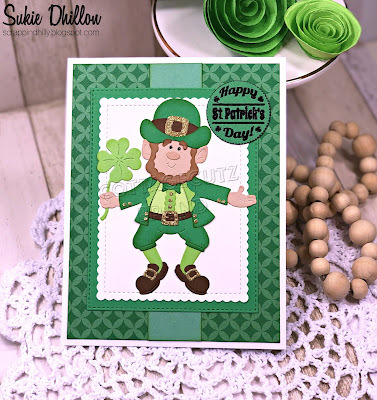 This is Sukie and I'm back for my guest designer post with this fun St. Patrick's Day card. 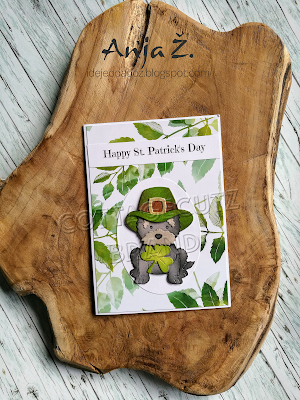 The Lucky Leprechaun at the focal point of my card is one of the adorable dies from the Valentine's release. 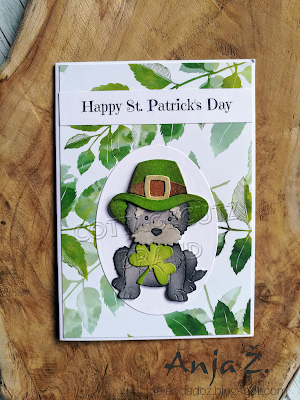 For my card I went with a monochromatic theme with the different shades of green, however, I used a white background to ensure the leprechaun would pop on my card. A few gold accents provided the perfect amount of sparkle to the leprechaun's accessories. 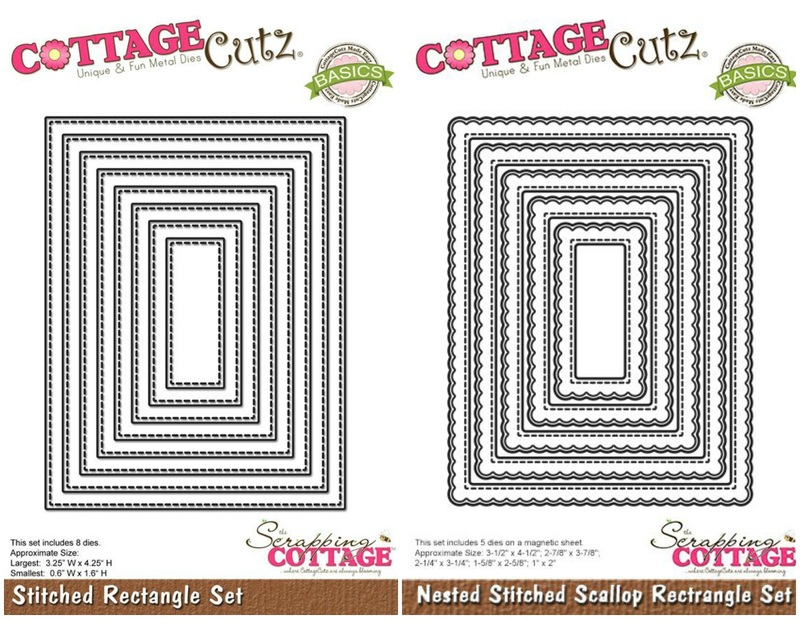 The white panel was cut with the Cottage Cutz Nested Stitched Scallop Rectangle Set which was layered on another panel cut from the Stitched Rectangle Set. 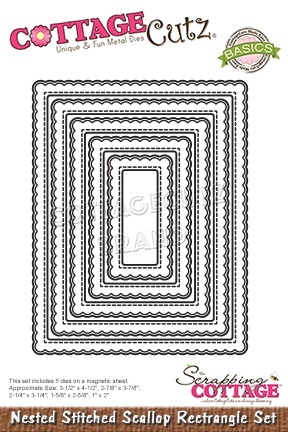 The papers for my standard A2 card base are from the DCWV Double Sided Cardstock stack. 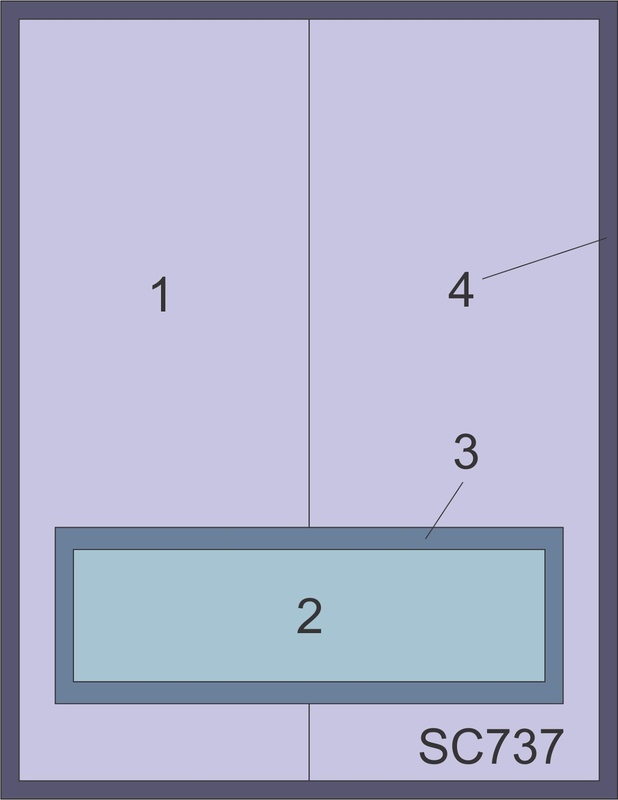 The double sided sheet provided a contrasting look to the background. I used a punch for the circle which was sized perfectly for the sentiment. 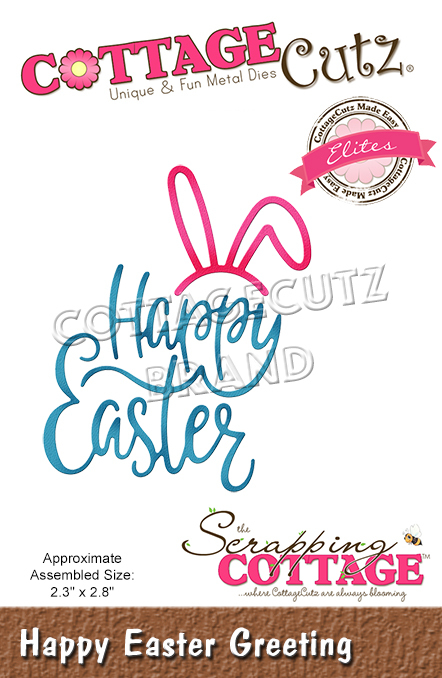 The sentiment is from the Scrappy Moms (retired) Dancing in Circles stamp set and it was heat embossed on the circle. 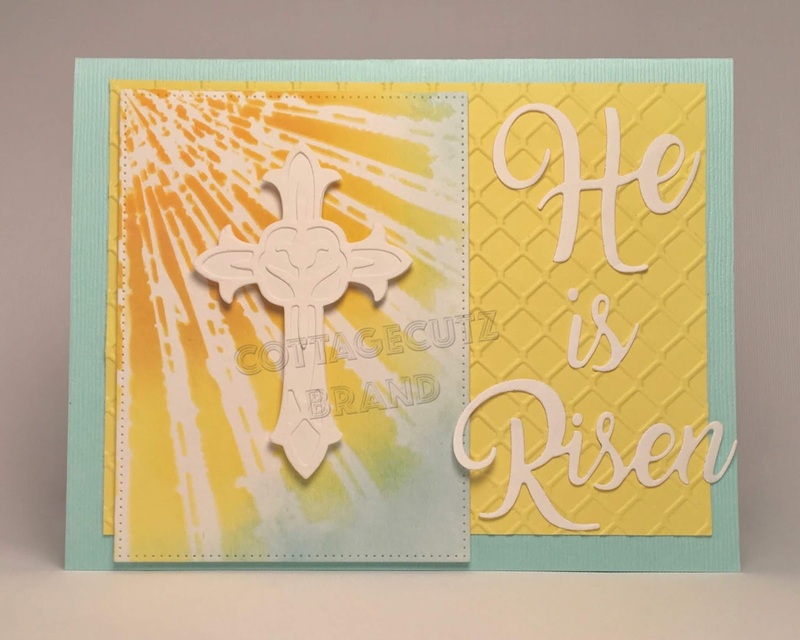 The heat embossing gives the sentiment an extra bold look. 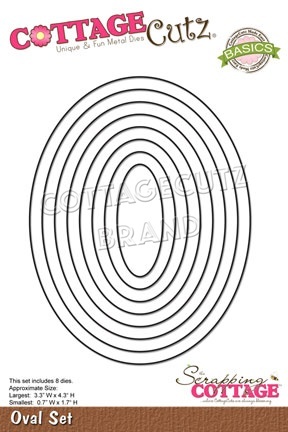 Today I have prepared a card for coffee lovers. 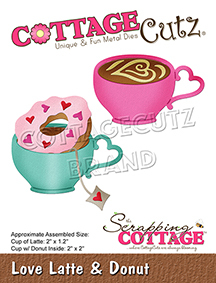 Cut out cups and donuts from colored card stock. 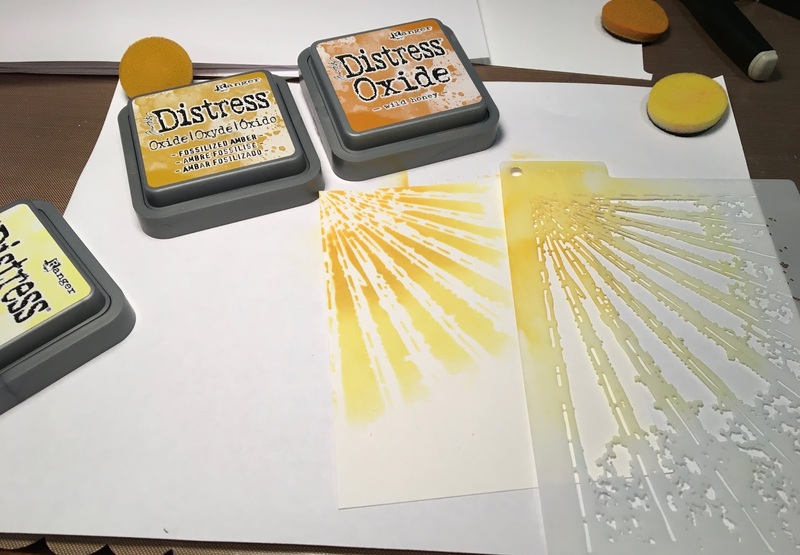 Emphasize the edges with ink pads. 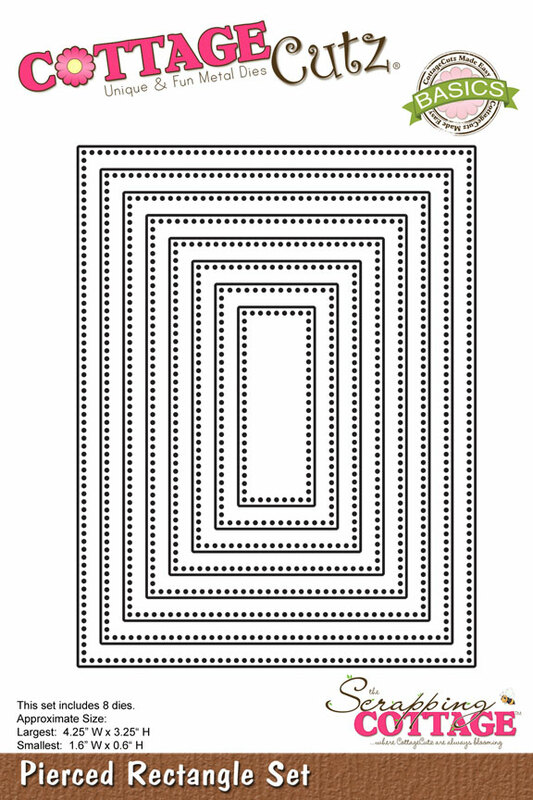 Paste all the pieces together. 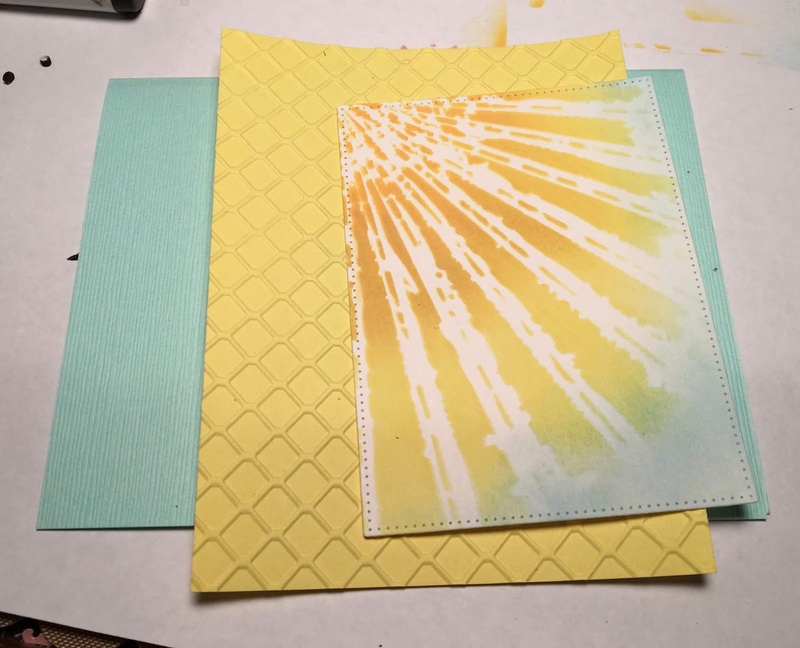 Stamp a sentiment with a VersaMark ink on a brown card stock. 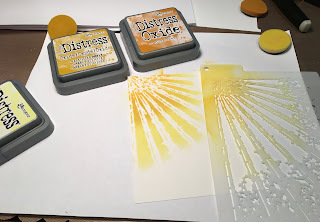 Apply white powder and heat emboss. At the end cut the sentiment. Prepare a card base. 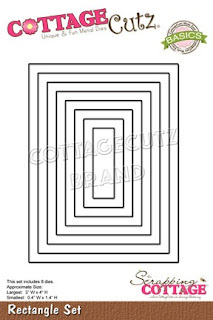 Cut three rectangles. 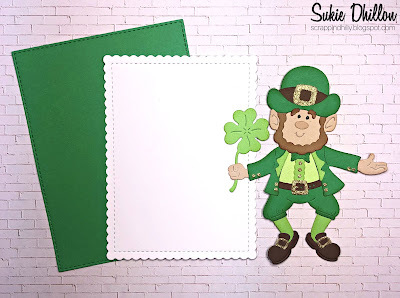 Paste them on the front of the card with a double-sided adhesive tape. Attach cups and donuts with foam tape to the background. It's Anja here. Winter is slowly waving its goodbye and warmer days are coming. I can't wait for the Spring to come. 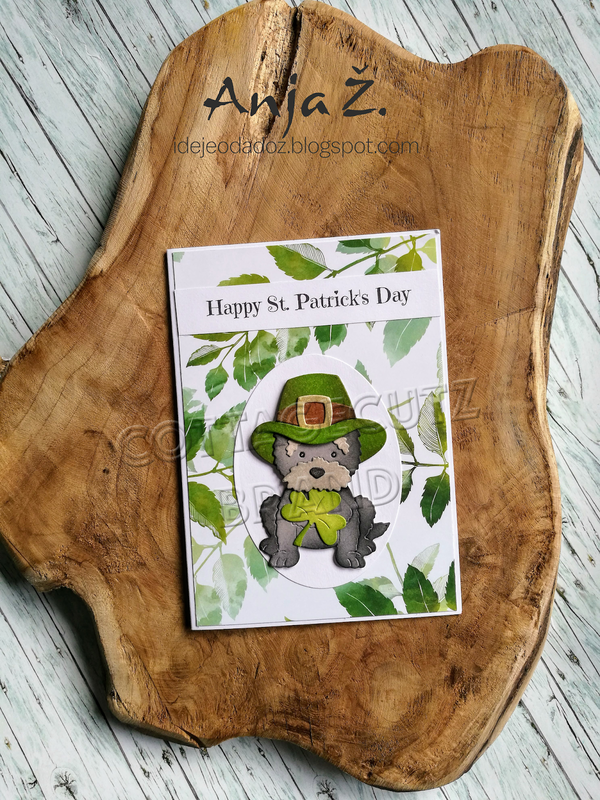 I made a simple card for today's post. 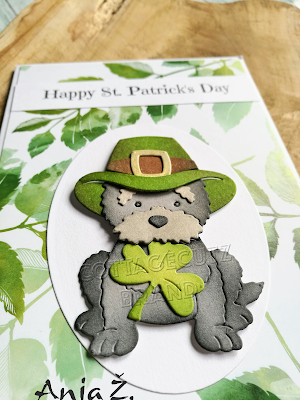 I used an adorable Scottie die and made a card for St. Patrick's Day. First I cut and colored the dog. I used black and white pen fr the eyes. 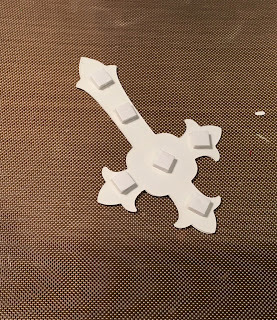 Then I cut all the pieces for the background. 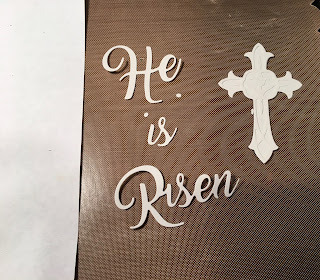 I printed and trimmed the sentiment. 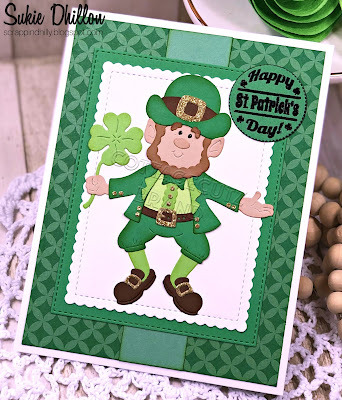 And than I assembled the card together. I used adhesive foam pads for the dog. 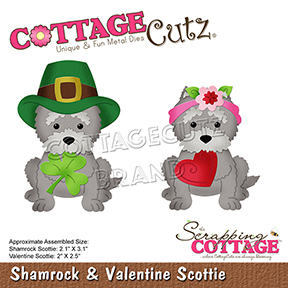 I'm still waiting for the Spring Release to arrive, but you can get it for 25 % off in The Scrapping Cottage store. This is all from me for today. 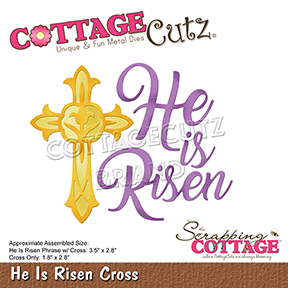 We have a new release of 36 Spring dies in the online store. 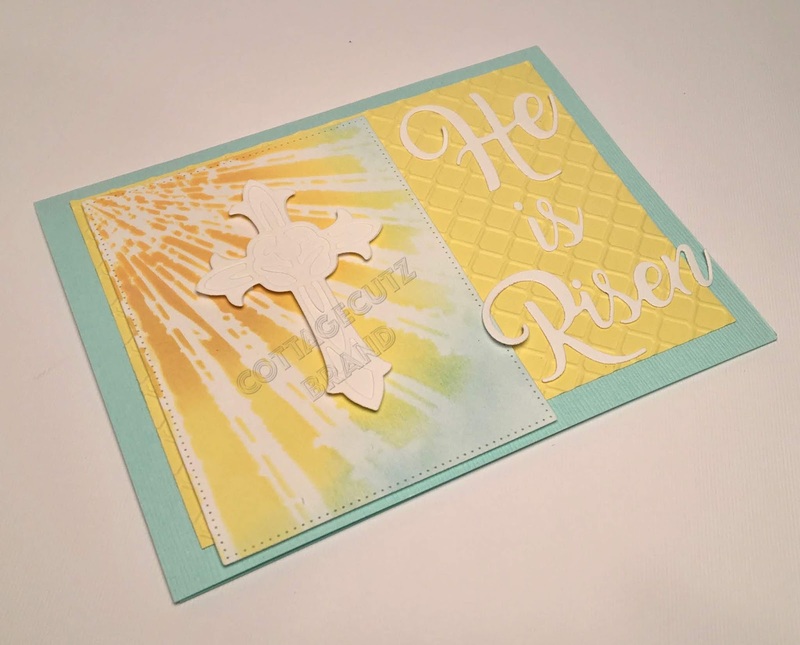 There are a variety of designs so perfect for Easter or Spring cardmaking. 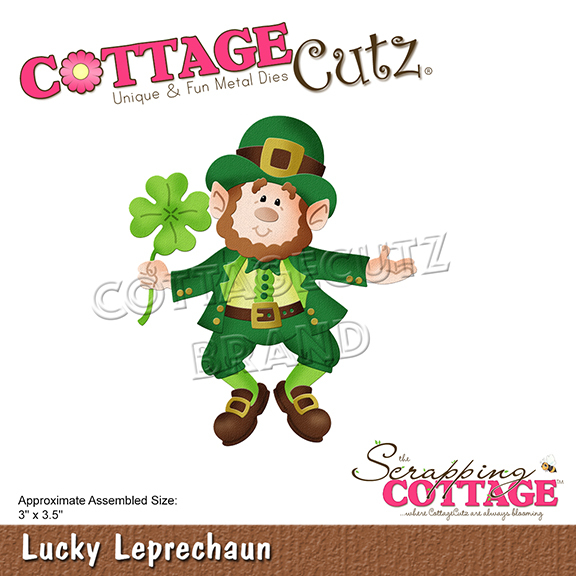 Take a look in the store you definitely won't be disappointed. And, they are currently on a 25% off sale. For my card today I am using the new Bunny Carrot Car and the Happy Easter Greeting dies. He is just the cutest little thing. 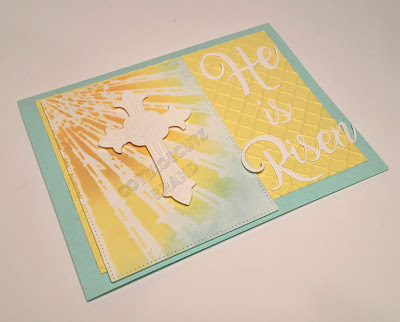 So perfect for your Easter card making. 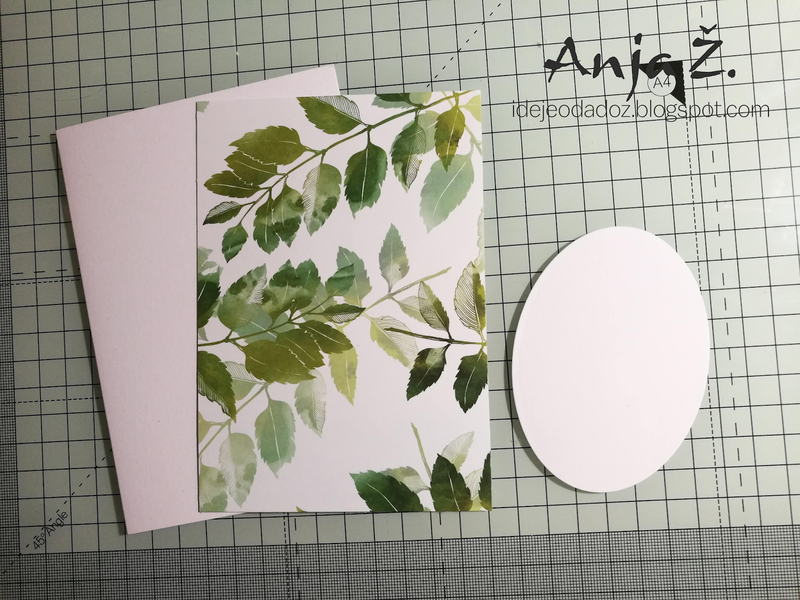 So let's get started with some details of how I created my card. 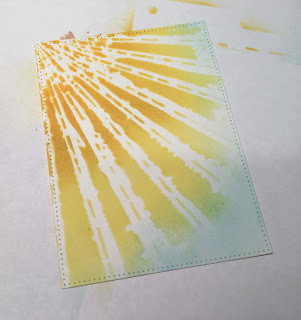 Step 1: I started my card this week with a sketch. 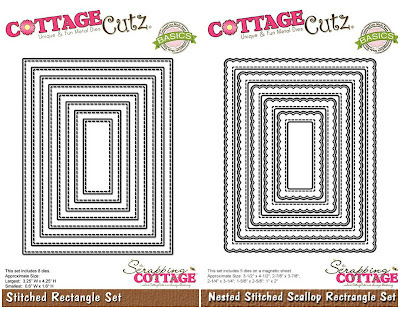 I am using the Splitcoaststampers weekly sketch #737. 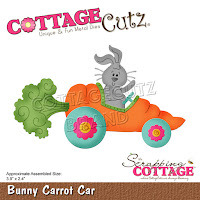 I thought it would work well to showcase this sweet little bunny driving in his carrot car. I just had to select my card colors, and I decided on a soft green for my designer paper. 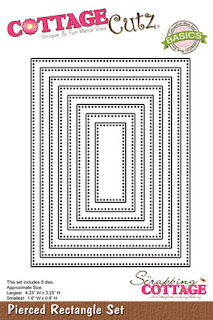 Pistachio Designer Paper: 2" x 5 3/8"
For the bunny and carrot car, I just chose colors that would coordinate well with the pistachio designer paper. 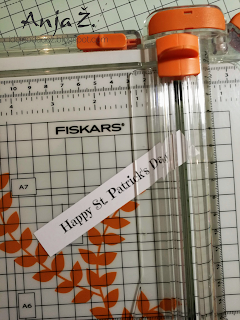 Step 2: Now that all my elements are cut I am ready to start card assembly. 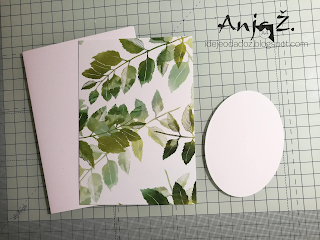 I attached the designer paper to the white card base with double sided tape. 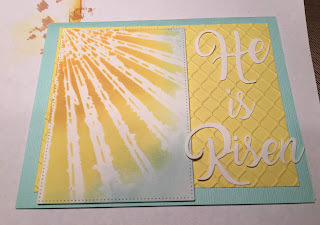 For element 2 of the sketch I cut 2 rectangles for my Happy Easter sentiment. 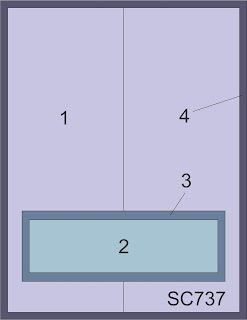 Used the 4th largest rectangle and pierced rectangle dies. 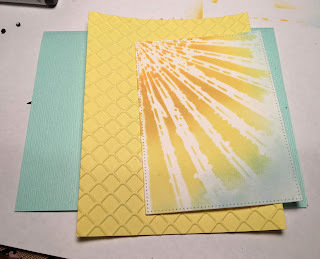 I was undecided what color to use for the rectangle that would be against the designer paper. 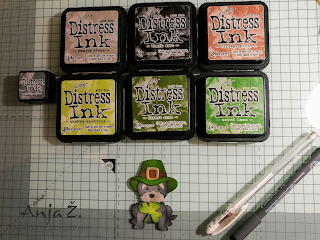 I tried several colors and then settled on the pistachio shade. 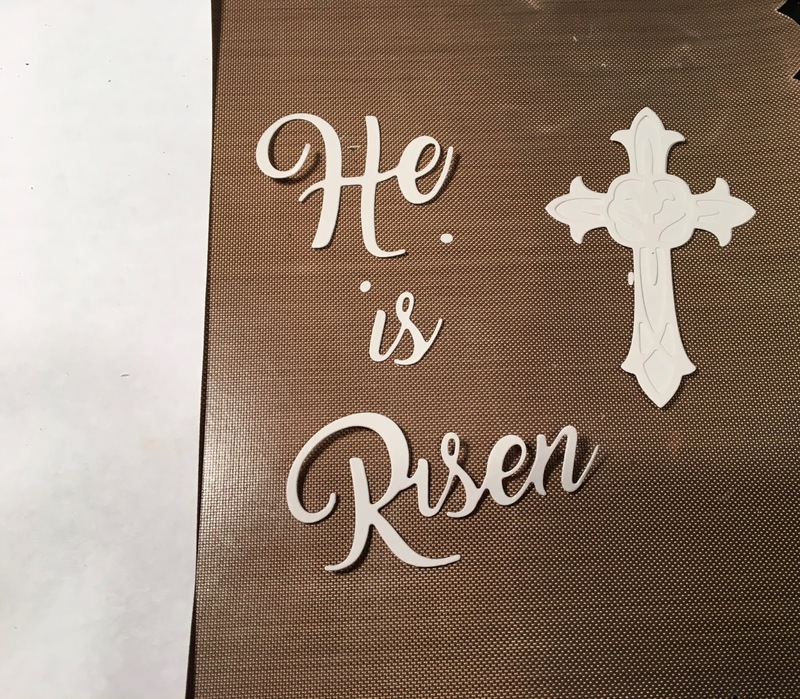 I cut the Happy Easter phrase from a Strawberry colored cardstock. I secured these panels together also using double sided tape. I decided to add some soft green sequins to the left side of this panel just to balance it off. 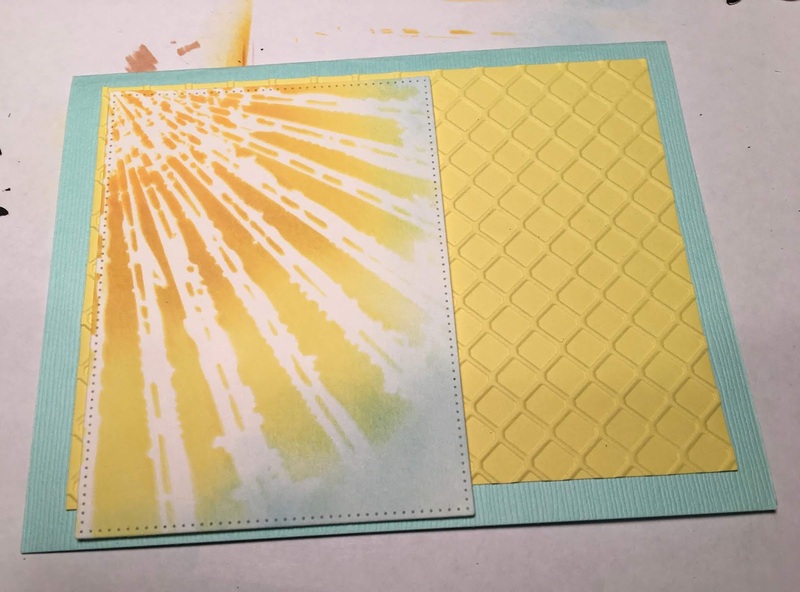 I added this panel to the card base with double sided tape. 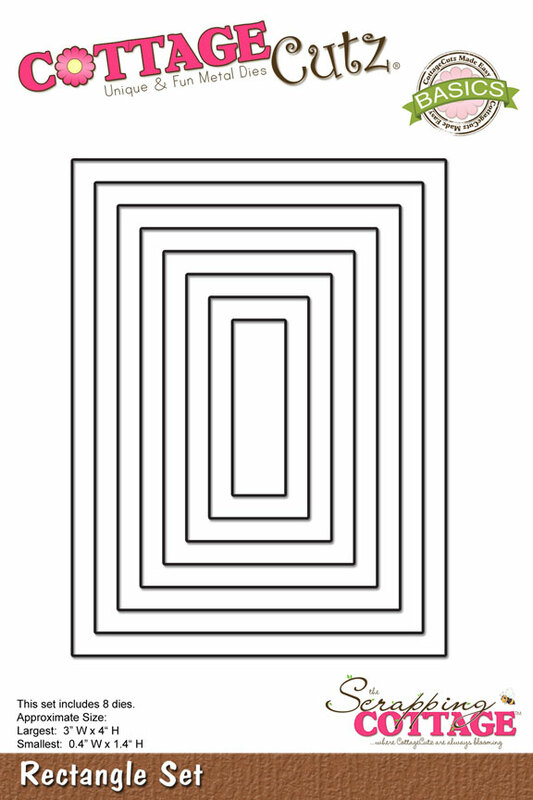 To finish off my card I place the bunny image atop the rectangle panel. 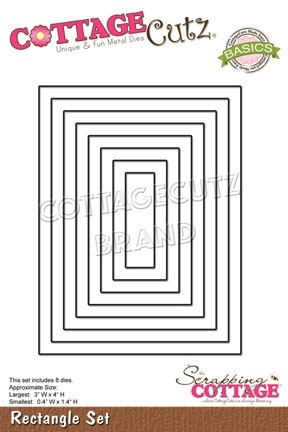 Secured it to the designer paper also using double sided tape. The sentiment panel still wasn't right for me so I added 2 additional sequins to the bottom left. And it was a fit and a wrap for my card. Well that's it for me for this week. See you next Saturday. The DT has begun showing these new dies so if you missed any of the cards you can look back on the Blog to view.